Life here revolves around transforming the humble grape into a masterpiece - and what a good life it is. 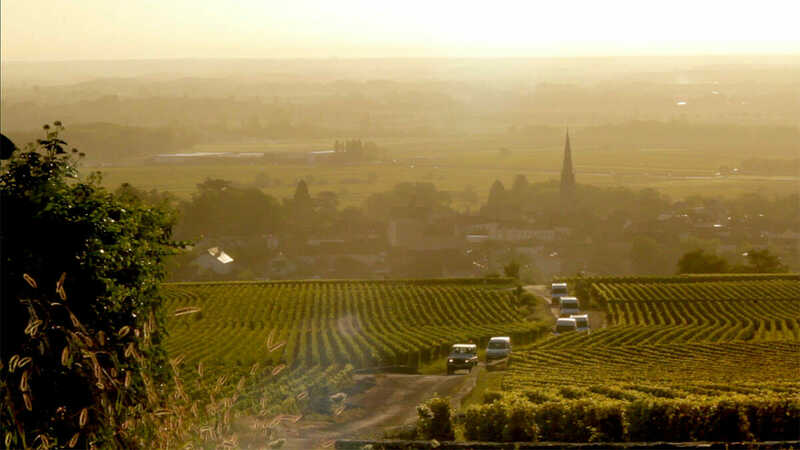 So it goes for A Year in Burgundy, a documentary by David Kennard that takes us into the heart of France’s most illustrious stretch of wine country. Presented in a measured, steady tone, this is a film that invites us to relax and discover the drama and nuances that go into making some of the world’s most highly-regarded wines. Thanks to Netflix and Amazon, more viewers can discover its charm in time for the sequel, A Year in Champagne, which arrives in theaters next month. We are introduced to seven winemakers who operate small but distinguished domaines where their families have cultivated wine for centuries. Along this 85-mile corridor, grapes are not merely grown and harvested. They are tenderly birthed into the world in order to fulfill their destiny as a Grand Cru. These winemakers tend to their Chardonnay and Pinot Noir varietals with fervor and dedication, just as their forefathers once did, and – as the film suggests – their grandchildren will do one day. Our guide into this world is Martine Saunier, a well-known Californian importer who grew up in Burgundy. Her credentials grant us remarkable access into vineyards in the celebrated Cote du Nuit wine valley. We accompany her across the region’s fertile slopes – in an ancient, photogenic CitroÁ«n, no less – to sample vintages in damp cellars and wine caves originally carved by monks during the Dark Ages. The film is structured around the seasons, specifically the turbulent growing and harvest seasons of 2011. That was a nerve-wracking year for winemakers, who nervously saw their grapes through a disconcerting spring heatwave, precarious bursts of hail and August thunderstorms. Storms at harvest time are bad. They bring on rot, one of the winemakers anxiously informs us”“and not the noble kind. The winemakers’ passion for their grapes is both low-key and winning. They are not cut from the same haughty cloth as restaurant sommeliers. These are farmers who spend long days tilling their small plots and worrying about a hard frost. The most colorful among them is Madame Lalou Bize-Leroy of the Domaine Leroy. She’s a feisty grandmother-type who chides her neighbors for not hand-pruning each vine and is fiercely attentive to the yeast on her grape skins. She comes off as hopelessly eccentric – until it becomes clear that she’s among the world’s greatest winemakers. The price for a single bottle of her Grand Cru hovers around $15,000. It’s fascinating to hear the wine makers discuss their individual terroirs – or the microclimates, geological and soil variations that affect flavor. A terroir gives food its ‘sense of place,’ as one of the winemakers puts it. It’s the layers of limestone, chalk and flint in his soil that give his wine its distinctive mineral notes. Terroirs yield such dramatic variation that I’m now convinced tomatoes planted in the front yard might taste entirely different than those planted in the back. The tone and narrative voice feel timeless – this documentary feels like it could have been made in the ’70s or ’80s. It suits the story. If you’re looking for a slow-paced journey to French countryside, pour yourself a nice glass of Pinot and enjoy. Life here revolves around transforming the humble grape into a masterpiece – and what a good life it is.